You may know us from such popular websites as Stack Overflow Q&A, Stack Overflow Careers, The Stack Exchange Q&A Network, and most of your Google search results. tl;dr – We’re changing our company name. As of today, our company will be known as Stack Overflow. Our logo is different. But only a little. Not one other damn thing. Seven years ago today, Joel announced the public launch of Stack Overflow. Since then, our strategy has centered around building useful tools for developers and then – if they worked – expanding them to serve a wider market. We think our new company name better reflects this core philosophy, and will continue to lead to good things for devs and non-devs alike. And… that about covers it. But just to be safe, I’ve tried to answer the questions we expect some of you may still have. Q: So, what’s actually changing? Well, as of today, people like me will start saying we “work for Stack Overflow.” I guess we’ll need new business cards, too? Hopefully someone’s on that already. But I digress. In the weeks ahead, we’ll change the name of things like the blog, podcast, and any other places where “Stack Exchange” was referring to the company, as opposed to the network of Q&A sites. 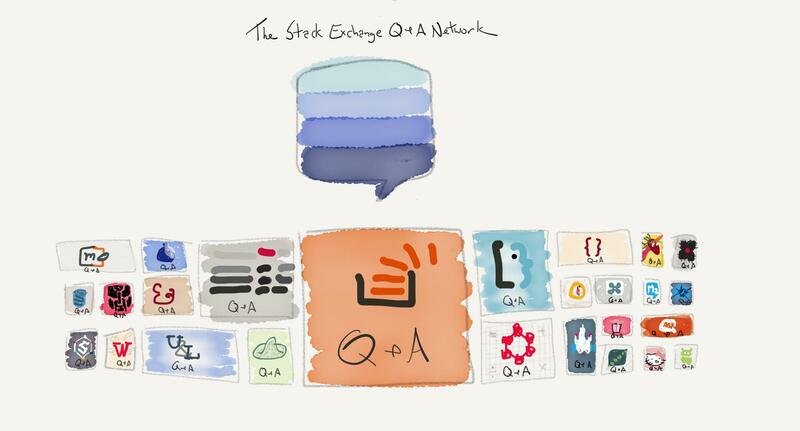 Our Q&A sites will still be collectively known as the Stack Exchange Network. 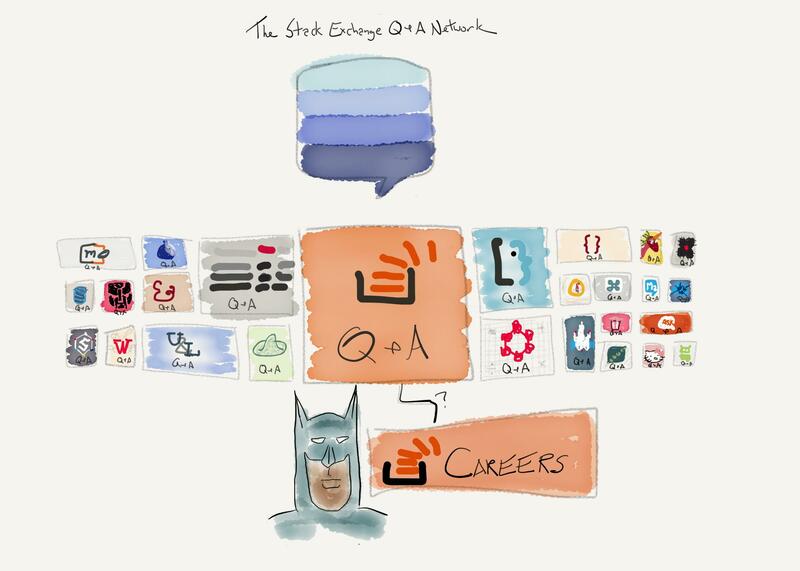 Q: Are you “just not that into” the Stack Exchange network anymore? The network as a whole has more monthly 5-time posters than English Wikipedia has 5-time monthly editors. Stack Exchange is the 47th most visited website in the US without Stack Overflow, and gets roughly as many US visitors each month as the New York Times. You hear that, books?? We’re coming for you, you filthy tree-based anachronisms. Q: So, why the change? We started with better Q&A for developers. And just to be clear, Q&A remains our core product, and we’ll continue to invest in helping it serve more of the world’s developers, chemists, photographers and whatever the heck these awesome people are. Then, we focused on better jobs for developers. Next up? Better EVERYTHING for developers. Developers have a lot of problems. We got here by focusing on underserved developer needs, and asking the world’s developers to help us solve them. I think that if we’d set out to build the best Q&A platform for everyone’s needs, it wouldn’t have helped anyone. By narrowing our focus to a specific group we thought we could help, we were able to create a product opinionated enough to actually make a difference. So, we’re going to stick with the plan. As we look for new ways to serve our users, we’ll focus on what we know best: solving developer problems. Today, we’re working on our biggest expansion since Stack Overflow launched: Documentation. You can learn more about it here, or sign up for the beta, and be part of building what we think will be our next Big Thing. I should point out that we fail a lot around here. 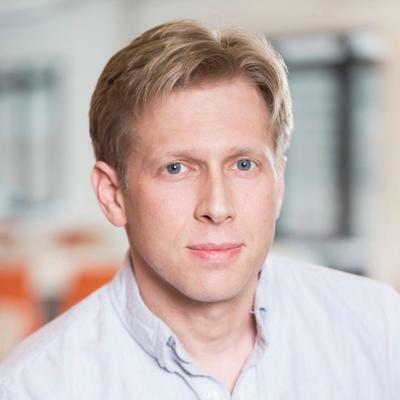 But wherever we’ve succeeded, it’s come from focusing on how we could better serve devs’ needs. And when that success looked transferable, we passed it along to the rest of the world. So, we’re gonna run with that, and hope you all keep on running with us. Do I hope to see more multi-colored, (poorly-drawn) networks spring up around some of our other dev products? Hell yeah. Will they? Beats me. But as always, we’re counting on you to help us figure it all out. Didn’t you say something about the logo? Oh – right. With the exception of a few minor tweaks, the Stack Overflow logo that you know and love has been essentially unchanged since we paid $512 for it in in a 99 Designs contest back when that was a lot of money for us. We thought it was pretty awesome then, and it’s still pretty awesome now. So, the design team didn’t change much, and just made a simple, clean update to the existing logo. Next week, they’ll share how it fits into a new style guide we’ll be using to help us standardize our visuals and save valuable design cycles downstream. But for now, we were inspired by Google’s video explaining how they arrived at their new logo concept of “kindergarten letters, most of which are actually aligned correctly.” So we made a short video. While ours doesn’t include the phrase, “…and just the right soupçon of whimsy” nearly as much as theirs did, I think it does a nice job conveying exactly how ours got changed. 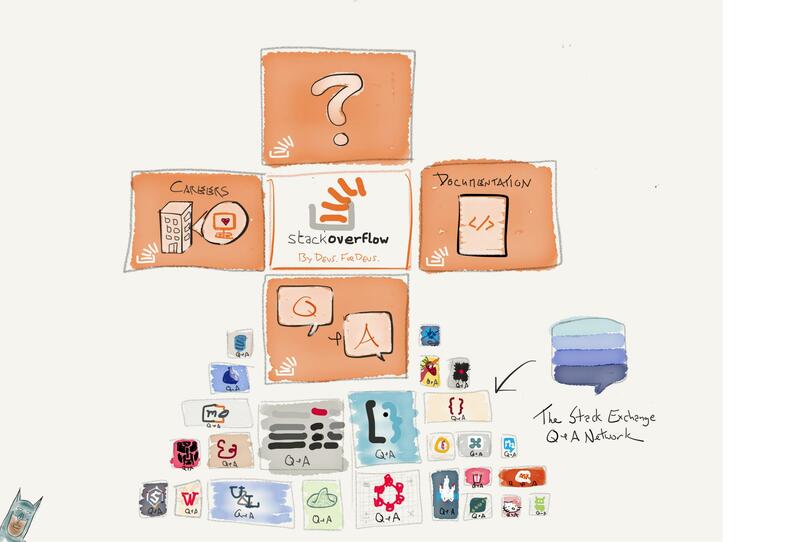 We are Stack Overflow. And we’d be nothing without all of you.